A classic toile pattern in a beautiful red. 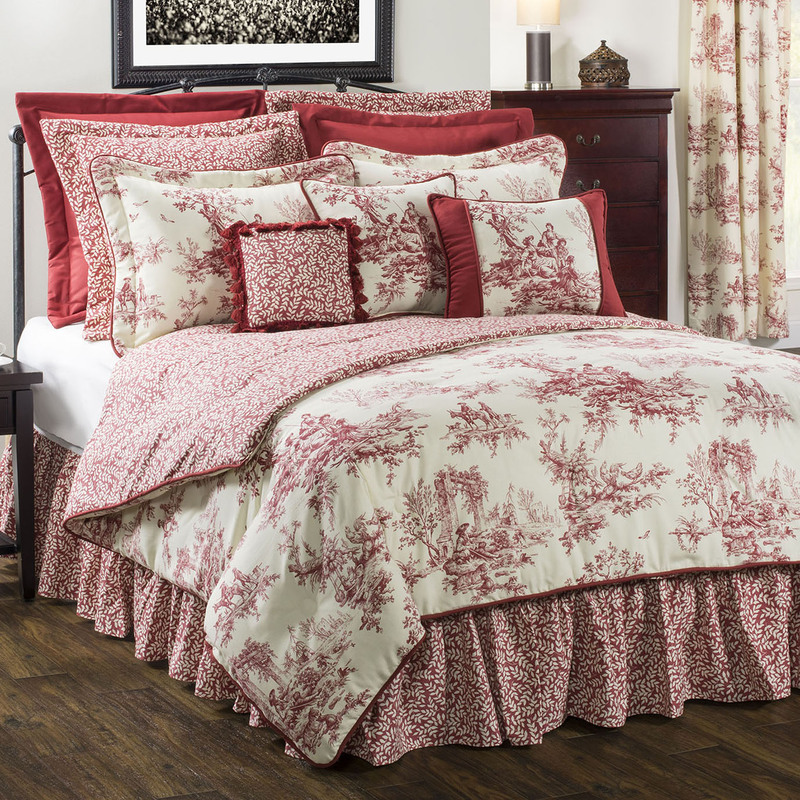 The full comforter features red piping on three sides. Leaf pattern on reverse. Polyester fiberfill. Face fabric is 100% cotton duck. Dimensions: 82" x 90." Manufacturer UPC 013864116732. Dry clean recommended. Made in the USA by Thomasville at Home.